So, we’ve arrived into September in traditional British style; downpours of rain, a chill in the air and darker mornings. Which is different from the British August, which is downpours of rain but with warmer air and lighter mornings. This past week has seen another busy spell at Rozi HQ, with a Top Secret Project in it’s final stages (which I finally finished yesterday, yay!) and the wonderful, welcoming and warm-hearted MancsterCon event in Manchester. MancsterCon is an entirely volunteer led event showcasing the independent talents in the North-West; everything from comics and zines to game development, and custom-made lighting to kawaii wigs. Some of you may remember that I attended last year as a visitor and loved the atmosphere so much that I asked to be considered as an honorary Northerner to be a part of this year’s event. Thankfully, they said yes! Even better, they asked me to be a part of an interview panel with Andrew Tunney, Tom Ward, Chris Welsh and Debbie Jenkinson called, ‘So you want to get into comics?’. Held at the University of Salford’s Media City campus, the atmosphere was just as warm and fuzzy as last year even with a much larger hosting space compared to last years – something which I don’t imagine is that easy to do, so kudos to Florence and the team for making it work so well! Plus, even with Manchester Pride and a Manchester City home game on, the turn-out was still pretty decent and it made for a fantastic day with many friendly faces. Sneaky Business! On sale now. 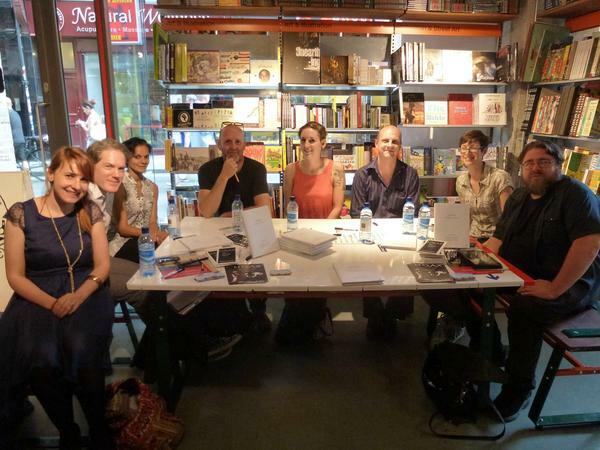 The Red Road – only six copies remain..! ‘So you want to get into comics?’ panel. The interview panel was actually really fun, too! A little daunting at first, but everyone is just so incredibly friendly it just felt like a bunch of strangers watching us have a chat. It’s always really interesting to hear how other people got into the comics field, and even though I saw sat alongside people who are far more successful and further along in their careers than I am, it was genuinely great to hear them speak about their experiences and ideas. Although, probably best not to mention Steampunk to Andrew Tunney any time soon.. Thank you to Florence for being an excellent interviewer, and for the audience for laughing at my joke. That would have been awkward otherwise. I’m not entirely sure if there’s a video of the interview being uploaded to the interwebs, but if there is I shall dutifully share that with you all. So, in all, it was a great day. Thank you MancsterCon! In other news, it’s a time for celebration, folks; Monday 31st August was my four-year blogiversary – let there be cake! For those of you who haven’t been with me for the entire long-haul, I started my small blogspot account back in 2011, doing updates of various illustration and arts related things I liked, saw and was doing. 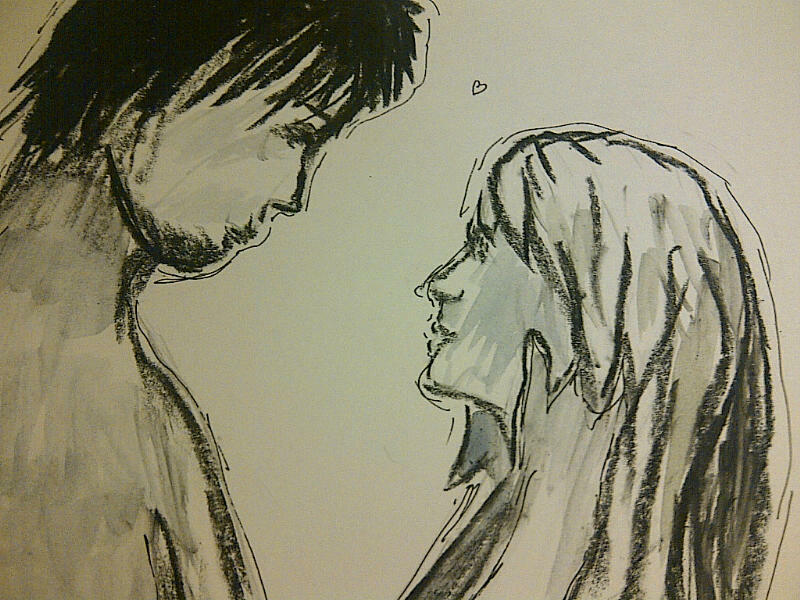 Just over a year ago I moved to this site, but the blogspot still exists with all my old drawings I thought were not-so-bad at the time. Now, however, I can sit back and laugh at how awful they are.. So what better way to celebrate than to get you all to laugh with me? Lets have a look at what the ol’ account has to offer..
31st August 2011 – oh dear. Here we have an example I’d like to call.. ‘Why I didn’t get accepted into UWE’. The reason I started my blog was to improve my drawing, so I can’t really look back at my terrible beginnings and hate it, because it got me where I am today. But yes, after I finished art college at the tender age of eighteen I fell into full-time work and got kinda stuck doing important things for not-that-much money. After a while I decided to get back on that proverbial horse and create a portfolio and apply for University. So, with full time work and drawing all evening I slowly created a portfolio of my best work, all from scratch. The selection day involved everyone putting their work out in a room, going off for a tour of the campus, then returning for an interview. Get this; I was politely taken aside and told I would not be interviewed as my work didn’t meet their standards. Ouch! Then I cried on my mum’s shoulder in the middle of Bristol, because I’m level-headed and strong independent woman like that. On the bright side.. After that I umm’ed and aah’d about whether to give up on my dreams of being an illustrator or jack the job, move back home, draw a lot, and try again for university. Thankfully, I chose the latter, so that’s what I did. And this blog was a way for me to track my progress. As far as I can remember, this was my first time drawing a comic – which actually isn’t terrible! I believe I finished this around September time, so already there is a big improvement from the portfolio work I was making back in the earlier part of the year. After this things steadily improved, with the likes of my Denver Union Station piece being created in January time of the following year. Of course, how could I forget! 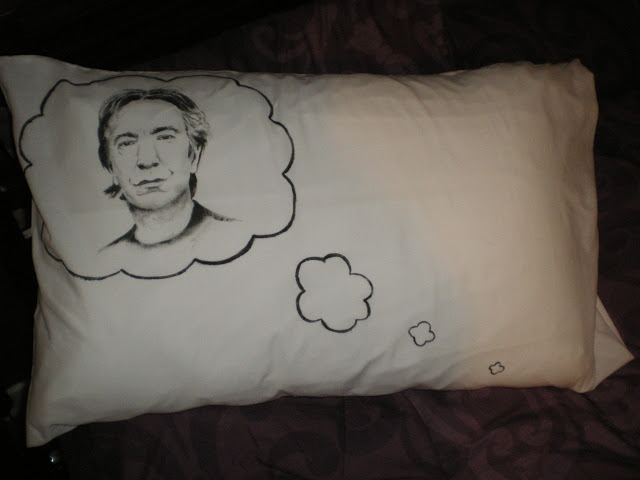 Alan Rickman on a pillow. That was quite obviously painted with assistance from a light box, but damn if that isn’t one of the best presents I’ve ever given. Saying that, the gift was for my dearest BFF and flatmate, and I definitely haven’t seen this in a while.. Should I be offended? Ah yes – now this was my first time making a comic-style set of images which I thought of, wrote and drew myself, back in June-July 2012. Not too shabby either! Whatever I was doing, I was doing something right as by the end of 2012, early 2013 I was asked by Ravi Thornton to illustrate some pages for HOAX: Psychosis Blues – and as they say, the rest is history. I’ve still made some completely awful things since, and I probably will continue to! Hopefully I don’t look back on the work I’ve created in the last year and regret everything, as that would be somewhat awkward.. But yes! That’s a small highlight real of my humble beginnings. If you’d like to see more things I made back when I was just a young ‘un, you can find all the archives on blogspot, here. I warn you, not all of it is pretty. And there’s a good few years on there, it may take a while..
It’s quite funny really, I sometimes think I started getting serious about drawing a lot later than others, and maybe it didn’t serve me well as I’m now a financially crippled twenty-five year old going into my third year of university surrounded by people four years my junior. But then, I have old-lady perspective. Old-lady perspective is very useful indeed! Because.. I did all my awful work BEFORE university, which means that if I went there in my youth I’d probably have messed it up and hated it anyway. Anyway, enough romanticising, I’d best get back to some actual work otherwise in another four years I’ll be looking back and weeping over what I lost. Thank you to all of you, whether you’re an occasional reader; a dedicated reader (hi mum! ); or a new reader, for making me stick with the blogs and have something to show for myself, especially in those early stages where motivation is so hard. Like the well trained puppy that I am, I’ll be back next week with some more sneak previews of the recently finished Top Secret Project, and more.. Peace out! OH! 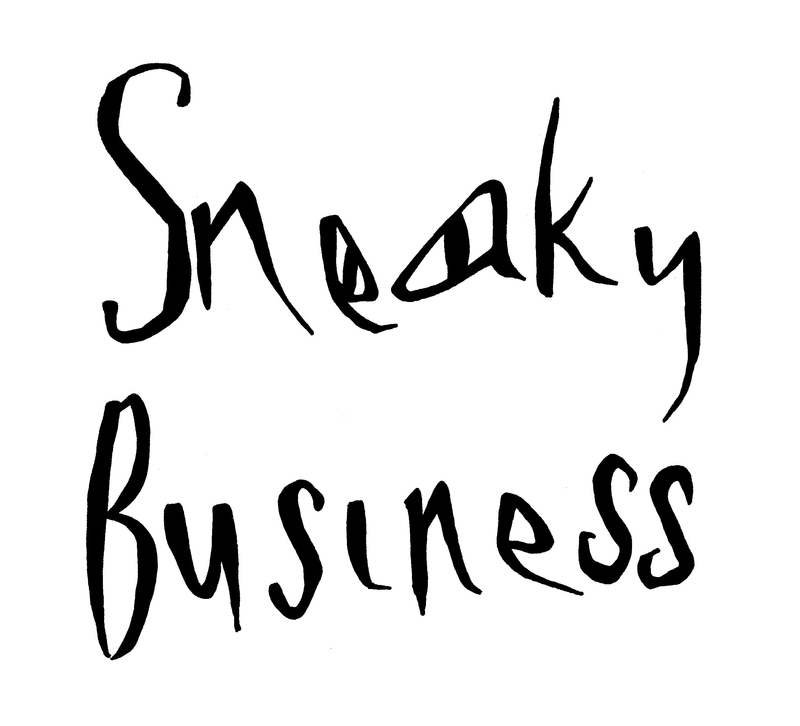 And don’t forget Sneaky Business is now for sale over on Etsy – you know you want one! So, it’s that time again! It’s been another busy week, with a gap finally opening up for me to continue working on my top secret project previously mentioned here. This, holiday planning and other serious but boring grown-up things are making time disappear at the moment, and the race is on to get a decent amount of work done before I jet off on my adventures around Scandinavia, to eat my bodyweight romkugler and wienerbrøder! This particular project, an eight-page comic for print, I’d started work on back in late May to early June time (I think..!). It was actually really useful for me to pause the project so early in it’s development to create ‘quick’ pieces like Rejsen, the Nepal Home piece and the rest, as it gave me the opportunity to really push this story to the best it can be. I’ve always been honest in the fact that The Red Road was created in eight weeks (from conception of the idea to completion), and although I don’t think it suffered particularly I’m enjoying the extra time to really push this story into a complex and more detailed world for viewing. This time I’m also creating the story completely wordless, which feels like a natural yet challenging step for me. With the third year of University on the horizon I’m really glad I have the chance to hone my storytelling skills once more before I start to sculpt the ideas in my noggin for my Final Major Project. Although I don’t normally like to give too much away, I’m concious that recently I’ve been one big human-shaped bag of secrets – and it’s no fun if I can’t share anything! Plus it also makes pretty boring reading for you all, I imagine.. So above are some sketchbook images of my development from my mock-up book (which in itself has sketches of the entire story set out how it will appear). In a rare, proud moment I thrust my sketchy mock-up book in my partner’s face hoping for some instant flattery, but apparently my vision isn’t too clear OR impressive when accompanies with scrawled notes and finger smudges (cuh, right? ), so I thought it best to work on it all some more. 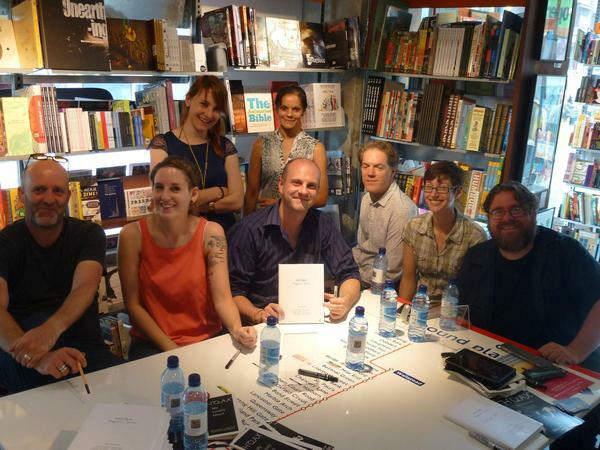 My deadline for this project is only six weeks away – panic! And two of those weeks I’m on holiday — double panic! But, alas, I’m trundling away and I’m more than confident that I’ll be ready to move onto the final pages by next week. Huzzah! Keep an eye out for more progress on this next week.. In other news, as promised I am delighting you all with a grand reveal… A new publication! SNEAKY BUSINESS is a comic filled zine of my own creation, featuring some specially picked comics and arts friends; Pete Hindle, Samuel C Williams, Peter Norman, Alex Hahn, and of course, yours truly. The above sneeze is brought to you by my comic, with each of us creating a two-page spread aside from Peter, the ex-Baird of Northampton who decided to be special and only create one page. More news on Sneaky Business will be revealed next week, as I’m still waiting on one or two things to fall into place before I announce any more.. But yes! Expect this to be out soooooon…. Ooh errr. Finally, last week saw my ‘Inside Look’ article published on Broken Frontier! Small Press Inside Look – Rozi Hathaway Discusses Her Work on ‘The Red Road’, ‘HOAX Psychosis Blues’ and More is something I wrote up a week or so prior, especially for Andy Oliver’s Small Pressganged section on Broken Frontier. You can read some insider gossip on my work to date, and probably hear some things I’d never said out loud before. If you’re interested, head on over and have a look! Unless of course, by the time you’ve read this you’re sick of hearing me waffle on. I don’t blame you, living with my inner monologue is a tiring experience.. So, that’s it for now! The rest of this week will be spent in my cave drawing up from roughs for this eight-page comic, and trying to stay awake on willpower and coffee alone. Have a good week everyone, and as every, see you next week! Over and out. Well, what a week it’s been! Following my last post, everything went incredibly smoothly with releasing The Red Road on Thursday 15th January. Any concerns or small worries I had floated away on a magical, comic-filled cloud when I got to the printers and laid eyes on my big box of books. Huge thanks to the folks at Hampton Print in Northampton who were absolutely fantastic and helped me through the whole process. As much as you think you know how to set up a comic, something always comes up – thankfully the printing experts at Hampton have made my comic look wonderful, and I jumped for joy when I saw how the recycled off-white paper added new depths to the story geeked out over the paper quality. Check out that recycled paper.. Ooft. Warms the soul! I’m very lucky in that the majority of people who requested a pre-order paid up swiftly, so off to the Post Office I floated – armed with doodled envelops – and now nummerous copies of The Red Road are in their new homes, each numbered and packaged with love. Also, I’m incredibly lucky to have had a very swift review from Andy Oliver over at Broken Frontier! You can read the whole article here. It is a very strange feeling reading a review about yourself, it was an equally exhilarating-yet-other-worldly experience when Broken Frontier reviewed HOAX Psychosis Blues, and I feel incredibly honoured to have received two such glowing reviews from Andy, and his tireless promotion of The Red Road since posting the article has been outstanding. I keep having to pinch myself to check if it’s real! Stunningly rendered, and painfully beautiful in its own way, The Red Road is an outstanding debut print offering. Keep your eyes on Rozi Hathaway’s work this year because she’s one of half a dozen or so names I have on my list of self-publishing talents I believe will make the next step up in 2015. Thanks Andy! I’d also like to take a moment just to thank everybody who has purchased a copy or even paid attention to the book. It’s very close to my heart for several reasons, and putting it out there to the world has been one of the most scariest points of my career so far. But incredibly rewarding -what a start to the year! Clearly I’d better up my game for the coming months.. *gulp* I’d also like to mention that if it hadn’t been for Ravi Thornton pushing me to do my best work during HOAX Psychosis Blues, I wouldn’t have the knowledge and know-how to even attempt a project like The Red Road – so thank you, as always, for the opportunity, Ravi! For now I shall patiently await any news from some of the independent-friendly shops that I’ve sent copies to, and for anyone who would like to review The Red Road more formally than, “Yeah it’s cool m8.” – I have set up a new reviews section on my About page. It’ll be a test-run to see whether it’s worthwhile me having reviews, but as my Etsy page is still fresh off the block and review-less. Remember, you can still purchase your very own copy of The Red Road from my Etsy store for the bargain price of £6! Well, what a week it’s been. About a month ago, when I was looking at the schedule of events at the Comics Art Festival in Kendal later this year, I discovered they were running a competition alongside Titan Comics for a 4-6 page comic with the theme of Lost in Space. Now, the deadline was yesterday and 4-weeks-ago-me thought the challenge to write the script and draw, colour and letter the comic in a month would be a marvellous idea! And, well, I finished it on time so clearly 4-weeks-ago-me had faith in current-me, though it was definitely a challenge and a half. Link to the PDF comic, woo! Read it all here! Don’t Compromise, Texturise. Plus HOAX! So, new website, new blog, potential new audience. Where to start, you ask? It’s been a while since I had the chance to regularly update my previous blog and no doubt there is lots to go on and on about, but for now I shall just talk about what has been going on most recently. First year of University is over, and I have a whole summer ahead of me of being poor and de-stressed, which gives me the perfect opportunity to spend many lovely hours at my desk. Although the first year of being back in education has been challenging, its given me focus for the coming months to refine my skills ready for the second year starting in September. One of the main reasons for wanting to go to University (not that being a 24 year old juggling work and study amongst partying teenagers isn’t joyful enough as it is) was to gain useful knowledge in using digital software to enhance my work, and that I have learnt! With the basics and some extra free tutorials online I’ve been experimenting in using textures which has been rather fun. This past week I’ve been playing with acrylic gesso, gouache and clingfilm to make nifty backgrounds for scanning in and putting together with other scanned illustrations. I’ve already been playing with watercolour washes and scanned linework, which you can see two examples of below! Anyway, that’s what I’m playing about with at the moment. It’s all very hit and miss at the moment but at least it’s pretty fun! Hopefully I’ve have it sussed soon and I can start making better pieces. There will be the book signing at The Travelling Man from 3pm, with the sold out theatre show HOAX My Lonely Heart at the Royal Exchange Theatre and the following late night book launch from 10:30pm. The event page for the launch can be found here. So, if you’re around in Manchester on Saturday then please do come and say hello, it’s going to be a pretty amazing day. Tonight is the opening night for the theatre team so keep your fingers and toes crossed for everyone! For now though, I shall leave it at that. Over and out.